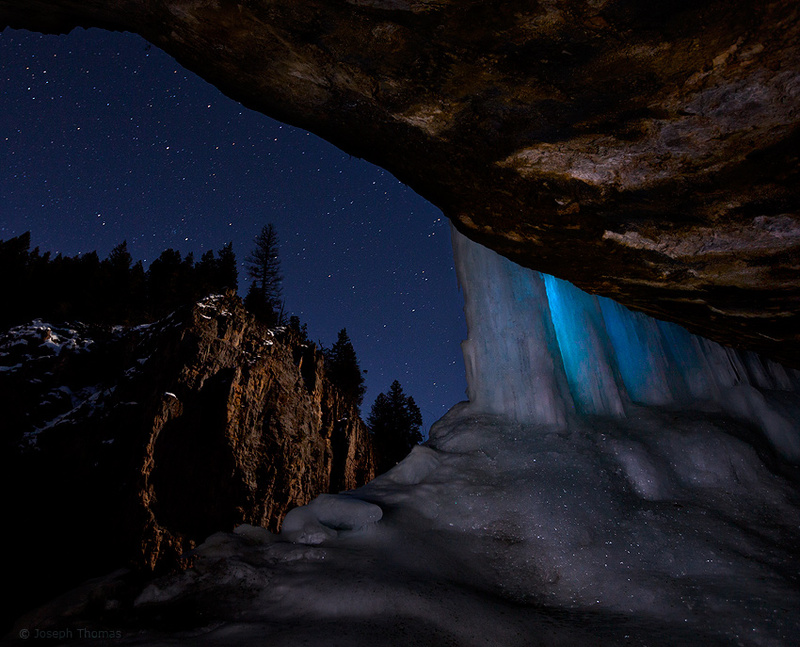 Ice crystals in a mountain canyon cave sparkle like the brilliant stars above. One source of glimmering beauty lies within reach while the other exists an inconceivable distance away. The waning gibbous moon sidelights the canyon while backlighting the ice blue falls. I used soft diffused light from my headlamp to gently illuminate cave's interior.